How do I get the Work Authorization and/or Work Approval screen to show up in SWRemote? Select the Master Accounts option from the left navigation. 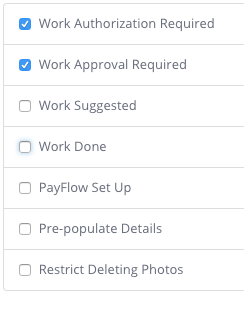 Check the boxes for the option Work Authorization Required and/or Work Approval Required. Instruct your technicians to log out of SWRemote to receive the new updates.